Christianity/ Church / Worship / Is Your Church Worship More Pagan Than Christian? There is a great misunderstanding of the purpose of music in Christian worship. Many Christians tend to grant music a sacramental power which Scripture never bestows upon it. "Join us for dynamic teaching to set you on the right path, and inspiring worship where you can meet God and receive the energy and love you need to be a mover and shaker in today’s world…Alongside our teaching program are worship events which put you in touch with the power and love of God." The problem with the flyer and with many church ads is that these kinds of promises reveal a significant theological error. 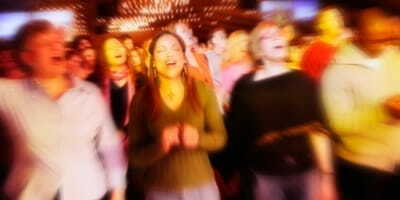 Music is viewed as a means to facilitate an encounter with God; it will move us closer to God. In this schema, music becomes a means of mediation between God and man. But this idea is closer to ecstatic pagan practices than to Christian worship. Jesus is the only mediator between God and man. He alone is the One who brings us to God. The popular but mistaken notions regarding worship music undermine this foundational truth of the Christian faith. 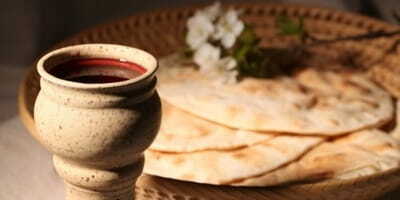 It is also ironic that while many Christians deny the sacramental role of those ordinances which the Lord Himself has given to the church (baptism and the Lord’s Supper) they are eager to grant music sacramental powers. Music and “the worship experience” are viewed as means by which we enter the presence of God and receive his saving benefits. There is simply no evidence whatsoever in Scripture that music mediates direct encounters or experiences with God. This is a common pagan notion. It is far from Christian. In his helpful book True Worship Vaughan Roberts offers four consequences of viewing music as an encounter with God. I will summarize them. 1. God’s Word is marginalized. 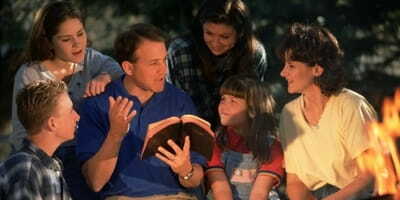 In many Churches and Christian gatherings it is not unusual for God’s Word to be shortchanged. Music gives people the elusive “liver quiver” while the Bible is more mundane. Pulpits have shrunk and even disappeared while bands and lighting have grown. But faith does not come from music, dynamic experiences, or supposed encounters with God. Faith is birthed through the proclamation of God’s Word (Rom 10:17). 2. Our assurance is threatened. If we associate God’s presence with a particular experience or emotion, what happens when we no longer feel it? We search for churches whose praise band, orchestra, or pipe organ produce in us the feelings we are chasing. But the reality of God in our lives depends on the mediation of Christ not on subjective experiences. 3. Musicians are given priestly status. When music is seen as a means to encounter God, worship leaders and musicians are vested with a priestly role. They become the ones who bring us into the presence of God rather than Jesus Christ who alone has already fulfilled that role. Understandably, when a worship leader or band doesn’t help me experience God they have failed and must be replaced. On the other hand, when we believe that they have successfully moved us into God’s presence they will attain in our minds a status that is far too high for their own good. If we identify a feeling as an encounter with God, and only a particular kind of music produces that feeling, then we will insist that same music be played regularly in our church or gatherings. As long as everyone else shares our taste then there is no problem. But if others depend upon a different kind of music to produce the feeling that is important to them then division is cultivated. And because we routinely classify particular feelings as encounters with God our demands for what produce those feelings become very rigid. 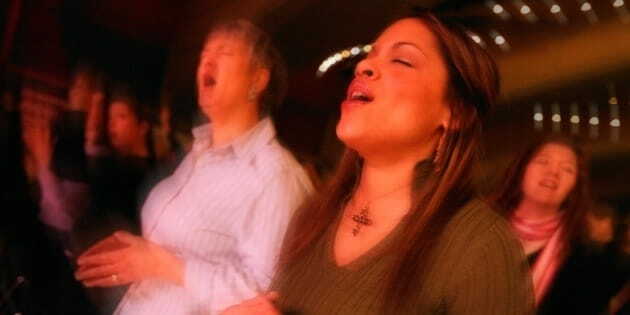 This is why so many churches succumb to offering multiple styles of worship services. By doing so, they unwittingly sanction division and self-centeredness among the people of God. Scripture is full of exhortations to God’s people to sing and make music to the Lord. Our God has been gracious to give us this means to worship Him. But it is important to understand that music in our worship is for two specific purposes: to honor God and to edify our fellow believers. Unfortunately, many Christians tend to grant music a sacramental power which Scripture never bestows upon it. Todd Pruitt serves as Lead Pastor of Covenant Presbyterian Church in Harrisonburg, Virginia. Raised a Southern Baptist, he is a graduate of Midwestern Baptist Theological Seminary in Kansas City. He blogs regularly at Ref21 and 1517. Todd, along with Carl Trueman and Aimee Byrd, is one of the hosts of Mortification of Spin. He and his wife Karen have three children. Originally published September 23, 2016.